Facilities where you can store your car have many benefits and attractive features. It’s without doubt a great alternative to parking lots and there is a big demand for storage of all types of vehicles these days. It’s simply safer and better when you need car storage for a longer period of time. One of the reasons why car storage is becoming more and more popular is because of the increasing prices of parking facilities. Moreover, people often find it hard to even find a parking space for their vehicles. Storing your car in a car storage facility is a great solution, as the car will be perfectly protected and kept in its best condition. No outside damage and bad weather conditions affecting your car – what’s better than that? So what are the features and the benefits of car storage and what are the things you need to be aware of? The biggest feature and benefit of car storage is the prevention of weather damage. Are you planning to travel for months and thinking where to leave your car in the meantime? Parking it outside your house is not only risky for the car’s condition, but it could also attract the attention of thieves. The weather conditions can damage your car if you leave it for months on the outside – humidity, dryness and sun will cause damage to the vehicle. If you don’t want to find your car all rusty and covered in mildew, you need to store it properly. Understand that the weather damage is not only on the exterior of the car, it affects the interior juts as much and it can have a dramatic negative effect on the whole working condition of your vehicle. Don’t risk it – look for a reputable car storage company and book your unit. 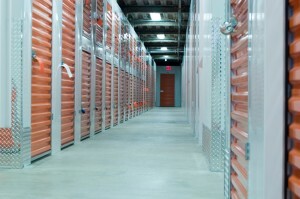 What’s great about professional car storage facilities is that they are climate-controlled. The temperature inside the unit is fixed and an optimal level is maintained, thus ensuring a safe environment for the vehicle. Moreover, the unit has an active airflow system and dust filters. Weather damage is virtually impossible inside this facility. People even store big vehicles because it’s so beneficial and easy. Another great benefit is that there’s no maintenance cost for the car because the vehicle is stored in perfect conditions – no dust, no rust, no mildew. You can definitely rest assured that the features of the storage facility are perfect for storing classic and luxury cars too. Actually, this is the safest and wisest way to store such cars of high value. Avoid putting your car in a warehouse or in a simple garage, when you need a longer period of storing and a safer environment for the car.